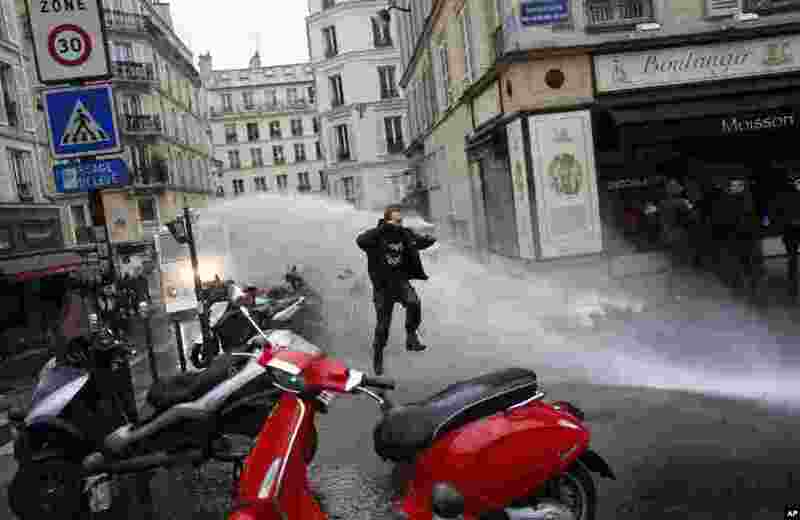 ١ A man jumps to avoid a police water canon during a demonstration in Paris, France. Nationwide strikes caused major disruptions to trains, planes, schools and other public services as unions set up dozens of street protests across the country. 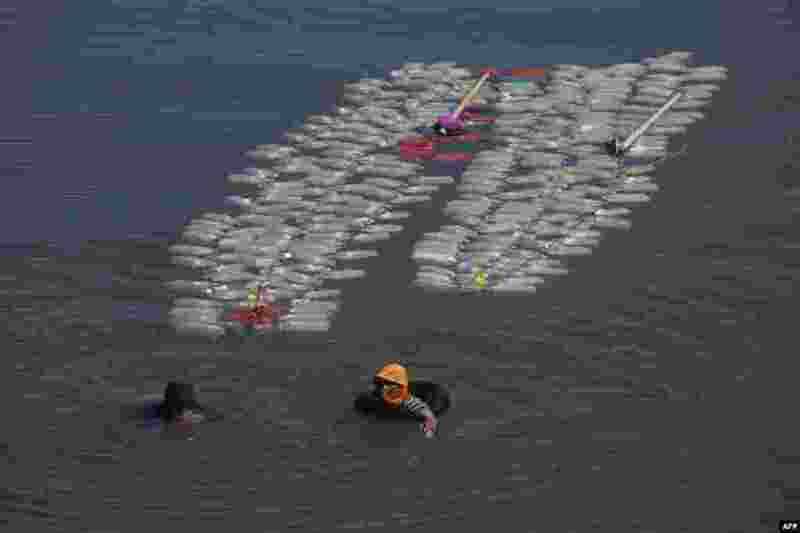 ٢ Indonesian villager Mama Hasria swims upstream with about 200 empty jerry cans tied to her back, a daily trip she and other local women make to get clean water for their community on Sulawesi island. 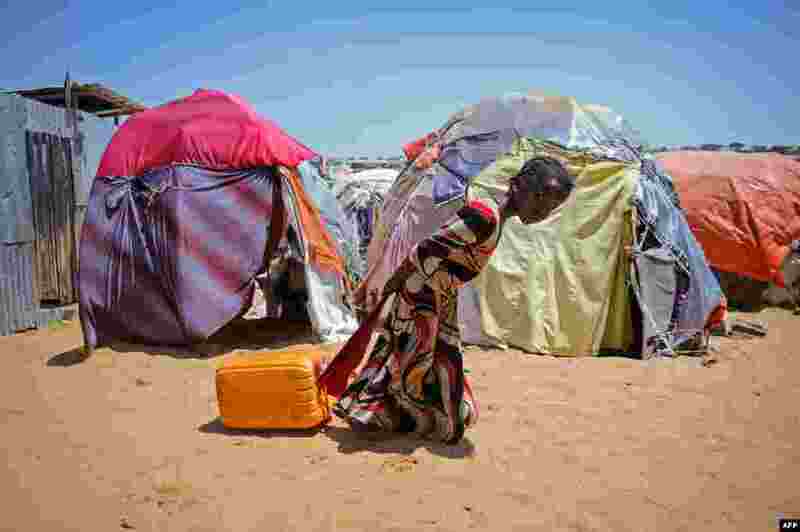 ٣ A girl drags a jerrycan filled with water from a well at the Tawakal IDP camp on the outskirts of Mogadishu, Somalia, on March, 21, 2018. World Water Day on March 22 calls attention on the importance of water, with this year's theme "Nature for Water" – exploring nature-based solutions to the water challenges we face in the 21st century. 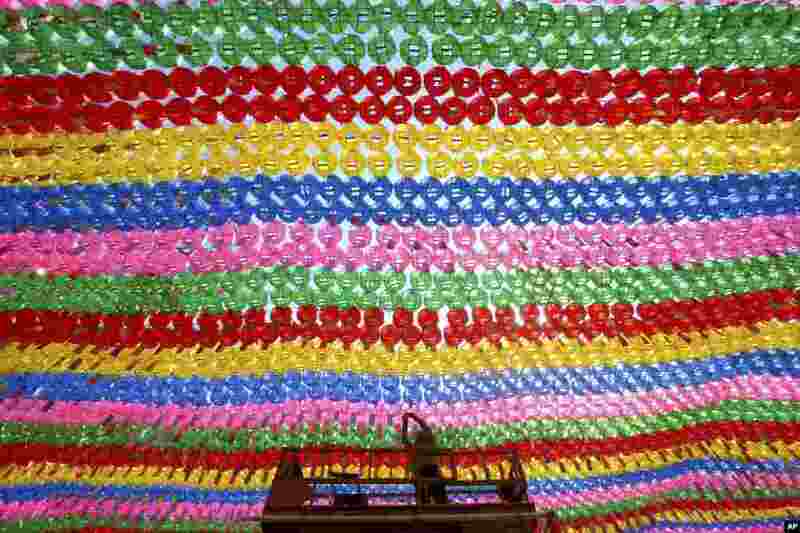 ٤ A worker attaches the name tag of a Buddhist who made donation to a lantern for the upcoming celebration of Buddha's birthday at the Jogye temple in Seoul, South Korea.